The House of Mouse is tidying up and preparing to welcome several special guests. Per Variety, Disney has confirmed a handful of projects that will launch on its soon-to-be-released streaming platform, Disney+. In true Disney fashion, the squeaky-clean studio is readying an inaugural slate of television series and films that it hopes will have "broad family appeal," catch the attention of a variety of viewers, and "will be viewable by a wide age range." 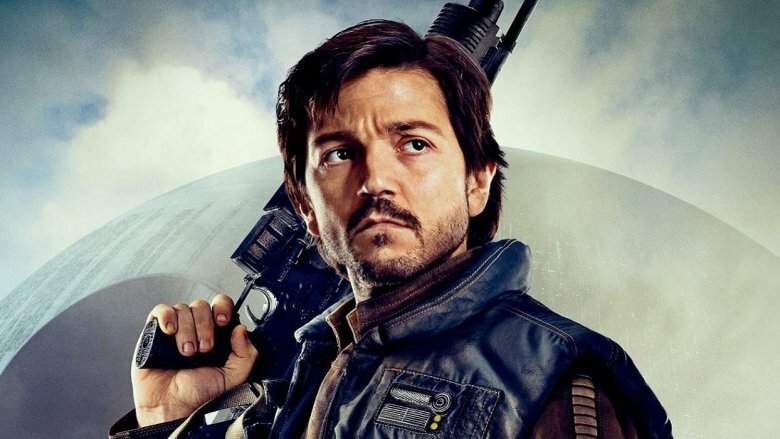 Disney+'s "key" projects include The Mandalorian, the live-action Star Wars series written and executive produced by Jon Favreau and starring a host of A-list celebrities, including Game of Thrones and Wonder Woman 1984 star Pedro Pascal; the yet-untitled Rogue One prequel series that follows "the adventures of Rebel spy Cassian Andor during the formative years of the Rebellion"; a Marvel Cinematic Universe limited series that will run for six to eight episodes and feature characters from Marvel's sprawling film world; High School Musical: The Musical, a "series reimagining of the Disney Channel movie franchise" that stars Joshua Bassett in the lead role; a female-led film adaptation of Nick Hornsby's novel and a remake of the 2000 Disney film High Fidelity; and a series based on Pixar's animated classic Monsters, Inc. The Mandalorian is in production as we speak, while both the MCU series and the Monsters, Inc. show are in development. High Fidelity is slated to start production in 2020, and High School Musical: The Musical will enter production sometime this year. It's unclear when the Rogue One prequel will get off the ground, but chances are that the wheels will begin to move after The Mandalorian premieres in the fall. Wouldn't want to double-up on Star Wars content, right? As for the Marvel shows, the superhero studio has a few in the works: there's one centered on Tom Hiddleston's Loki, another focused on Elizabeth Olsen's Scarlet Witch and Paul Bettany's Vision (appropriately titled The Vision and Scarlet Witch), and a team-up series featuring Anthony Mackie's Falcon and Sebastian Stan's Winter Soldier. Sources close to Variety have verified that the projects are in the works right now. In addition to targeting viewers of all ages, the Mouse House is aiming to reach a wider audience through diversity and inclusion, namely by placing actors of color in lead roles. This includes Pascal, a Chilean-born American actor, who top-lines The Mandalorian; Rogue One lead Diego Luna, a Mexican actor, who reprises his role as Cassian Andor for the untitled Rogue One prequel show; and Fantastic Beasts: The Crimes of Grindelwald star Zoë Kravitz, a black actress, to star in the upcoming High Fidelity adaptation. There won't be any shortage of original movies on Disney+, as the studio is developing projects featuring the likes of Grace VanderWaal, Tessa Thompson, Janelle Monaé, Willem Dafoe, and Ben Kinsgley. Remakes are in order as well, like the new take on Lady and the Tramp, but fresh stories will have their place, too. Disney is planning a project chronicling the 1925 serum run to Nome, which Universal Pictures dramatized in the 1995 live-action-animated film Balto. Disney is also bringing over 5,000 hours of its film and television series to Disney+ in hopes of making the streaming platform "a must-have for families with young kids, in the same way previous generations of parents bought the company's VHS and DVD titles by the millions." Likewise, the studio plans to take all future theatrical releases — including April's Avengers: Endgame, May's Aladdin remake, and July's new version of The Lion King — and upload them to Disney+ to make it the "exclusive streaming home" of all Disney-backed films. We've known about most of these projects for some time now, but this report by Variety confirms just how much content will be available on Disney+ and reveals how dedicated Disney is to making the direct-to-consumer platform not just a success but a necessity in the lives of people around the world. Disney+ already has stiff competition in Netflix, Hulu, Amazon Prime Video, and HBO Now. But with so many projects cooking up behind closed doors, all of different genres that will draw in all sorts of viewers, Disney+ looks to present itself as the hottest new contender in the streaming wars.